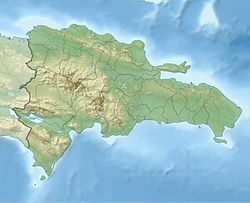 Imbert is a town in the Puerto Plata province of the Dominican Republic. The town is named after José María Imbert. ^ "Imbert Climate Normals 1961-1990". National Oceanic and Atmospheric Administration. Retrieved September 15, 2016. This page was last edited on 1 September 2017, at 01:59 (UTC).